Chickens raised for meat in factory farms spend their miserable lives crammed into sheds where they can barely move before they're hung upside down and stunned — although some birds remain fully conscious — and their throats are slit. Because of this cruelty, Burger King, Jack in the Box, Subway and nearly 90 other companies have promised to stop using chickens from factory farms — but not fast-food giant McDonald's, which sold 490 million pounds of the birds in one year alone. If a huge corporation like McDonald's were to change its chicken welfare policy, it could lead to huge improvements in the poultry industry and end the suffering of billions of chickens. Tell McDonald's to stop supporting cruel factory farms and switch to more humanely raised chickens. In 2017, in response to pressure from The Humane League and other groups, McDonald's did announce a new welfare policy regarding chicken slaughter that would go into effect by 2024. However, many animal welfare organizations say the policy is misleading and still doesn't meaningfully address important animal welfare issues. Tell McDonald's to do better! We need real change now to stop the suffering of millions of chickens. 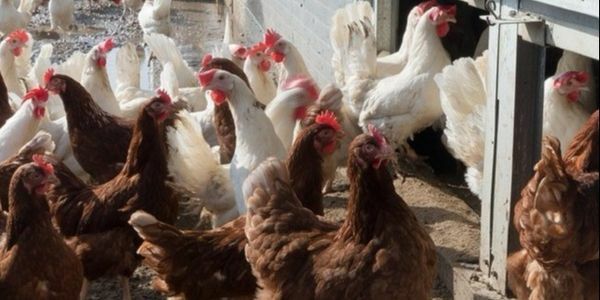 Please sign and share this petition telling McDonald's to quit buying chickens from inhumane factory farms.